I realize there is a ton of other subjects from generic how to start a retirement account to how to get out of debt. You can list those in the comments too if you have a really good argument for why the rest of us should be interested. If you want a longer list of my recommendations, check out my list of financial freedom books and my second list of books. Instachallenge: Grab a plastic grocery bag (kudos if you successfully eliminated plastic/paper grocery bags from your life) and head into your closet (those with walk-in closets can read this literally, others can read it figuratively) and fill it with clothes you haven’t worn in a year. Put this clothes in the bag and donate it to someone who can make better use of it than you did. The whole exercise will take less than 5 minutes, yet I predict less than 20% will consider it and less than 20% of the 20% (that is, 4% of the total) will actually do it. Do you think I am right? 63 users responded in " Which books would you recommend? " Did a clothes cleanout last weekend along the instachallege lines, took a fair bit longer than 5 minutes, more like 30, but I did get rid of 1.5 garbage bags worth. One tip is to tag items you are unsure about throwing out with the date, and if you use the item you take the tag off, but if it’s still there 6-12months later you should get rid of it. I just stumbled upon your blog… I need to say I find it really interesting(!). Definitely a concept, which certainly I would love to follow. Nonetheless, on the path to this UTOPIC happiness I think WE forgot to notice one important thing. Call it a concept if you prefer. Chasing money, new cars, houses, I believe is not really about chasing “those” materialistic “things”. I think the whole race is to PROGRESS. What drives human nature, is DEVELOPMENT, evolvement of our divine great MINDS, of PROGRESSING our well-being and HUMANKIND. Those who get lost along the way, just prove HUMANKIND STUPIDITY (yes, by principle we are stupid). These are still smart people, but we clearly see – it seems – majority of society is not thinking for themselves, they think what they were THOUGHT to think or other way… What they were NOT thought to think. Hence, “they all” want MONEY. Coming back to original thought, I think it is good, even very good to take some part in “this rat race”. However, don’t let fool yourself to be in a race towards rat race. Be in a race for humankind, for our well-being. Ultimately, what’s a point of living if we don’t participate in LIFE? That’s where ambition comes into play. If there is no PROGRESS (i.e. intelectual) then we are doomed, which part of it is… Chasing insanely after money. No progress, just building pile of… S#$t/Money. Aloha from the middle of pacific. I’m with Rachel on this one – I don’t have any clothes I haven’t worn in a year (although I did find a pair of nearly new trainers that I bought for 25% of the original price, but really don’t fit me). That said, I will be clearing out 75% of my wardrobe before our honeymoon to NYC as I can replace everything with new, quality items that will last for years and cost a fraction of the UK prices and also help out a few charities. I recommend reading extremely old books about just about anything. Many of the concepts that people think are relatively new, like intermittent fasting and value investing, are in fact hundreds (or even thousands) of years old. It helps you separate the good ideas that keep being “rediscovered” from the chaff. And many of these old books can be had on the internet for free. Many ideas have been around a long time. Authors just dust them off and “spit shine” them in a new book. I would like to ask the forum this – for those who have the new edition of YMOYL, how does it compare to the older version (which I have). I know the ideas are the same, but curious if I should read the updated addition. For the alternative living/voluntary simplicity category, I’d like to suggest The Art & Science of Dumpster Diving. It’s funny, amusing and has lots of great ideas. The author also touches on organization, efficiently using your space, and other topics that aren’t exclusive to divers. It’s easy to find a PDF online. The Freedom Manifesto: How to Free Yourself from Anxiety, Fear, Mortgages, Money, Guilt, Debt, Government, Boredom, Supermarkets, Bills, Melancholy, Pain, Depression, Work, and Waste. 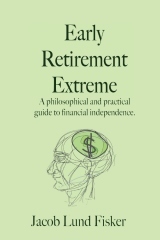 – Early Retirement Extreme (great job, by the way)! Thanks for donations of clothes and books.